The National Holistic team is incredibly thankful for our amazing family of patients, and we want to give back in the spirit of Thanksgiving! Starting Friday, November 16 until Friday, November 23, we're offering a cornucopia of specials just in time for the hectic holiday season. 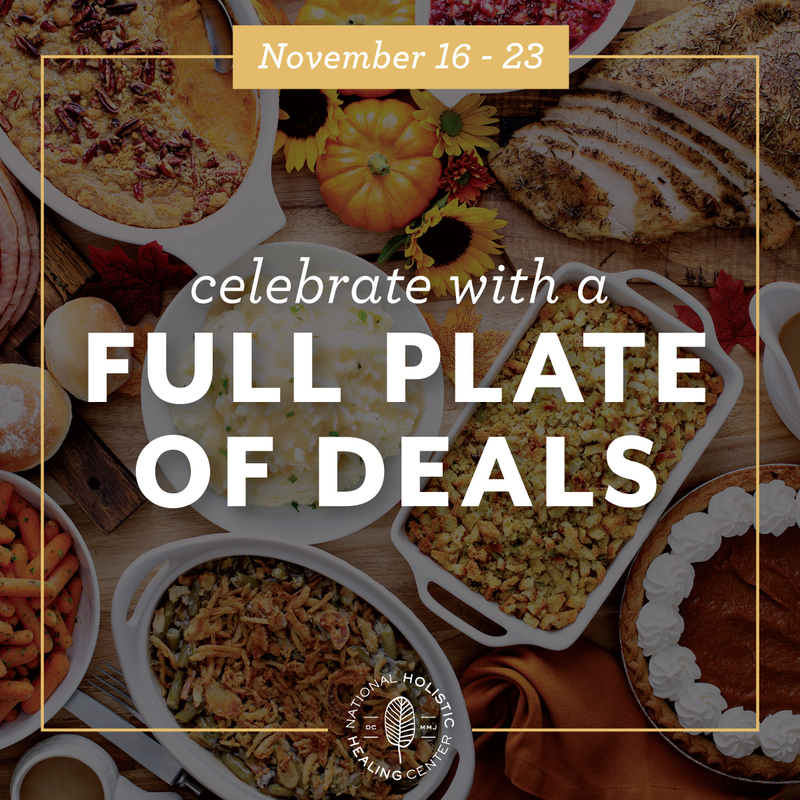 Each sale runs while supplies last, so be sure to stop in or pre-order while we have your Thanksgiving favorites in stock! 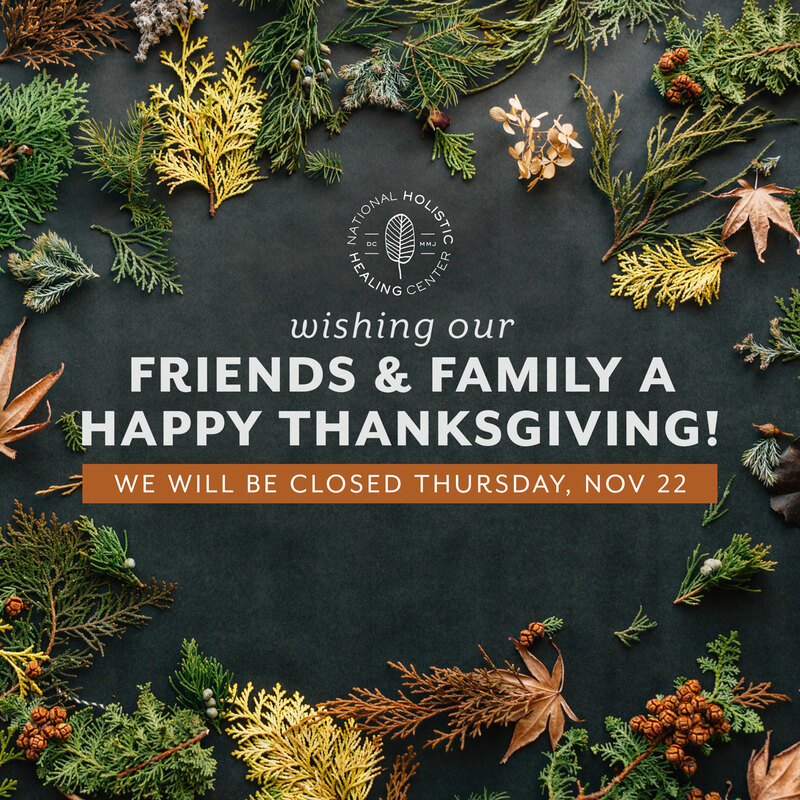 To spend time with our loved ones, National Holistic Healing Center will be closed for Thanksgiving, November 22nd. Our normal hours will resume Friday, November 23 at 11am. From all of us at NHHC, Happy Thanksgiving and enjoy a fun and food-filled day!